Burj Dubai in the United Arab Emirates is now the world’s tallest man-made structure, after reaching a record height of 688 metres, The tower is now over 160 stories – the largest number of floors in any building across the world, its developer real estate giant Emaar Properties said in a statement. The tower unofficially became the world’s tallest man-made structure in April, 2008 after surpassing the KVLY-TV mast (628.8 metres) in North Dakota in the United States. Though the final height of the tower has not been disclosed yet, although it is expected to reach 800m. 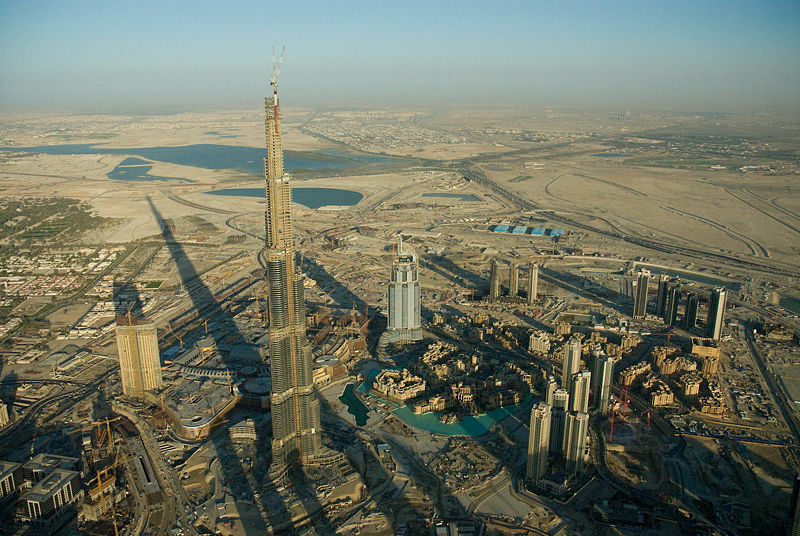 It will be officially recognized as the world’s tallest structure only when the construction is fully completed. The tower was designed by Chicago, Illinois-based Skidmore and is being constructed by high-rise building experts from South Korea’s Samsung Engineering & Construction, Belgium‘s Besix and United States Turner Construction.